Yeovil Town FC host Manchester United in the FA Cup 4th round fixture on Friday with the Red Devils looking to advance to the later stages of the competition. Mourinho's team will look to continue their fine unbeaten run in 2018 against League Two-side Yeovil Town. The Glovers, on the other hand, will be looking to upset the Red Devils progress past the fourth round of the FA Cup for the first time since the 1948-49 season. Sergio Romero is likely to start in goal ahead of David De Gea. Mourinho will be looking to give the much-required rest for United's premier shot-stopper. In defence, Phil Jones and Antonio Valencia are also likely to be rested against the lower-league club. In midfield, Marouane Fellaini and Scott McTominay are expected to replace the key players, Nemanja Matic and Paul Pogba. Nemanja Matic has not been given rest to date by Mourinho and tonight's match appears to be a good opportunity. The Manchester United manager stated in his pre-match conference, that Jesse Lingard will definitely be in today's starting line-up. 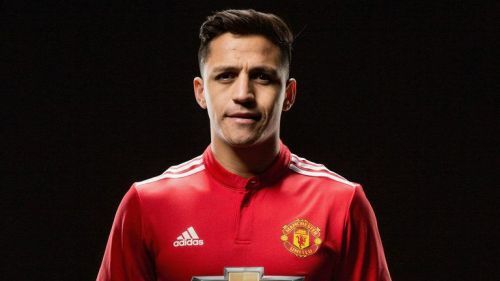 Additionally, the Red Devils' newest signing, Alexis Sanchez, is expected to make his debut against the Glovers, while Anthony Martial could be playing in Lukaku's position at Huish Park. Yeovil, the lowest-ranked team left in the competition, are undefeated in their last six FA Cup main round ties, as they have been knocked out by penalty shootouts in their last two campaigns. Yeovil will be without their midfielder Otis Khan, who is suspended for 5 matches, after the shoving the referee in their match against Chesterfield. Yeovil's manager stated that he will be going all-out for the major upset against the Red Devils. Experienced forward Zoko is expected to lead the line and Lewis Wing is expected to replace the suspended Khan. Omar Sowunmi is also a massive doubt for the FA Cup fixture against United due to illness and he underwent a heart scan on Monday. Artur Krysiak(GK) || Tom James, Bevis Mugabi, Nathan Smith, Ryan Dickson|| Jordan Green, Jack Gray, Jared Bird, Lewis Wing|| Olofela Olomala, Bernard Zoko. Manchester United will be looking to give their manager an expected win for his birthday, as United's offense will be too much for the fourth division team to handle. Expect United to advance with a comfortable 3-0 win.